Sitting is an exciting milestone that provides children the opportunity to explore the world in a brand new way! In this post we share some Sitting Tips and Tricks to Help Teaching Child to Sit Independently! Each child develops at their own pace, so allow your child time to gain comfort and control in each of these stages. 1. Horizontal Head/Neck Control: during Tummy Time child is able to push up on hands to gaze horizontally. 2. Vertical Head/Neck Control: when held upright child is able to hold head up against gravity. 3. Static Support Sitting: child is able to maintain Supported Sitting, with caregiver hands on assistance. 4. 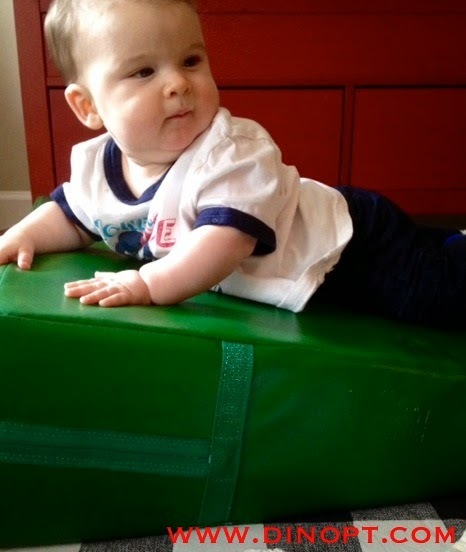 Dynamic Support Sitting: child is able to utilize dynamic support surface, such as Boppy , to maintain sitting. 5. Independent Tripod Sitting: child is able to support body with upper extremities. 6. Independent Static Sitting: child still requires close supervision for safety, but is able to maintain erect sitting posture for short durations. 7. Functional Independent Sitting: child is now able to manipulate toys, reaching across body and overhead without loss of balance! Independence in sitting requires many complex skills, coordination, balance, strength, and body/safety awareness. I have broken down our exercise and activity recommendations into the element of sitting addressed by each and assist with Teaching Child to Sit Independently. Once you have succeeded in Teaching Child to Sit, here are a few suggestions to promote further motor development! We hope you enjoyed this post with helpful tips for Teaching Child to Sit! Learn more about future Motor Milestones here! And remember to enjoy every moment, each day is a victory and each accomplishment no matter how small should be celebrated! Thank you for your comment! So glad it was helpful! My son is almost 18months. I have no concerns about his physical development except that he does not sit in tall kneeling. He hates it. Is this something I should be working on? Hi Jillian! Thank you for your question! Tall kneeling is a really nice developmental position as it allows development of trunk strength/stability while promoting weight bearing through knees. It is not a necessary position, but a great “developmental option”. Have you tried finding different surface heights to facilitate kneeling at? My son loved the cube chair, we also stack couch cushions and place his books atop them to encourage kneeling while engaged in reading and flipping the pages! Great post! Thank you for this information! My son is turning 6 months this week and falls over from a sitting position after a few seconds without a prop or person to hold him up. 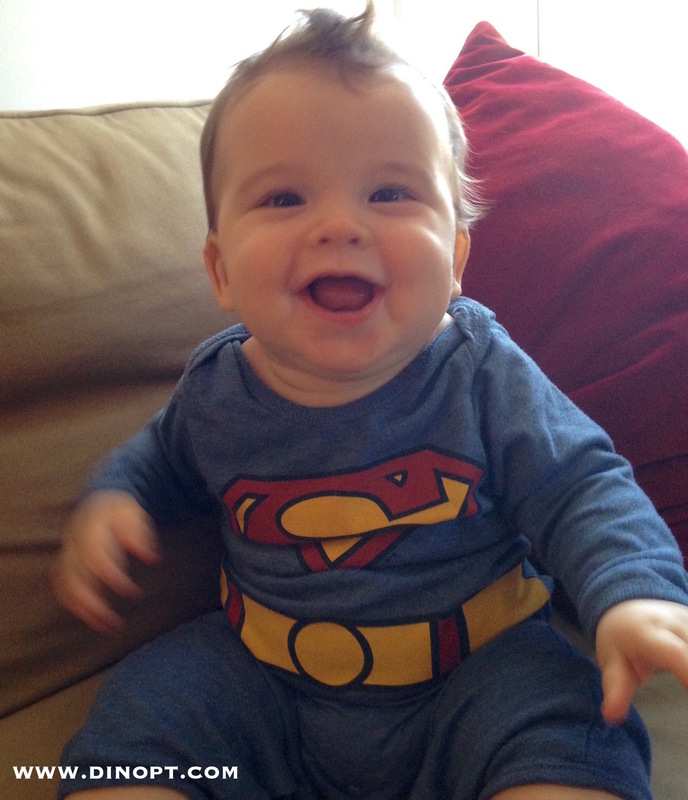 He has done a good amount of tummy time since birth and I have been working on transitioning into sitting a little. My question is how is his floor time best spent (what percentage of time spent on on tummy time versus supported sitting versus other exercises)? I have read that persistent tummy time at this age lends itself to the child independently transitioning into sitting when ready. Have you found that to be the case, or is supported sitting important at this age and to what degree? Thanks so much for your insight! Hi Jessica! Great question! Tummy Time continues to be important as children begin to transition to quadruped (on all fours) and begin creeping and eventually crawling forward. In terms of mobility you can encourage forward movement by putting motivating objects just slightly out of reach. You can also help facilitate motor planning the transition to sitting and then spend some time weight shifting to address trunk strength/balance reactions. Then allowing the transition from sitting back onto belly. Transitional movements are a big focus at this stage. Sounds like your son is right on track from a gross motor development perspective! Feel free to reach out with any additional questions via email at info@dinopt.com! More than happy to be a resource for you!